If the creation of litigation graphics were as simple as some people make it out to be, you would never need a litigation graphics consultant. Yet litigation graphics consultants of varying skill levels are everywhere these days. Clearly, there is a need for them. But why? What value do litigation graphics consultants add? It’s a fair question, and here are 12 good answers. 4. Your time is too valuable. You need to focus on the “law track,” which is what lawyers are best at. You must consider the order of how you will present your case, how to develop an evidentiary record and how to prepare your witnesses. 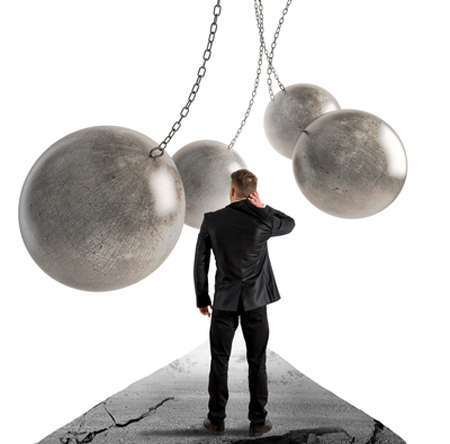 Allow litigation graphics experts to do the heavy lifting in the persuasion area. See Planning For Courtroom Persuasion? Use a Two-Track Trial Strategy and How Valuable is Your Time vs. Litigation Support's Time? 5. We have dozens of psychological tricks for influencing people with pictures. We have written about some of these: See Font Matters - A Trial Graphics Consultant's Trick to Overcome Bias and Could Surprise Be One of Your Best Visual Persuasion Tools? 10. We spend a lot more time in courtrooms than you do. The same trial lawyers who used to go to trial every year 10 or 20 years ago, now often go to trial only every three, five, or even seven years. In stark contrast, our team may go to trial 50 or even 100 times every year. Common sense should tell you to trust what we have to say about how visuals will land with a judge and jury. See With So Few Trials, Where Do You Find Trial Experience Now? 12. Anyone can make a PowerPoint, but only an experienced trial consulting team like A2L can make a PowerPoint that is convincing.